The growth of Business Process Outsourcing or BPO in the Philippines has undoubtedly developed so fast. Some of the top-earning foreign companies are outsourcing in the Philippines because they are aware that Filipinos are cordial and hospitable. In fact, BPO in the Philippines is considered to be the best customer service representatives and associates in the world. Why can they not be recognized as such? Filipinos are naturally outfitted with pleasant speaking ability and good customer service. Companies from other countries consider the Philippines as their derivative business hub. With the wide-array of hardworking work force, the cost of production here is minimal, and the produced outputs are greatly outsized. 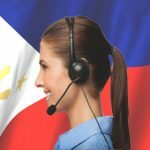 Read through the facts why BPO in the Philippines is significantly different, and learn why you should consider Filipinos as the best customer service providers you can entrust to outsource your business. English is deemed the second language spoken in this archipelago. The Philippines has a high literacy rate that stands out among other neighboring Asian countries. This language is widely spoken by people who both live in urban and rural communities thus BPO in the Philippines became prevalent. 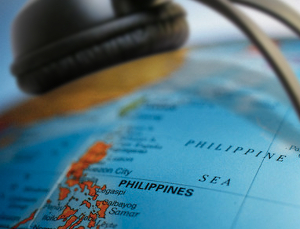 Aside from excellent communication skills, BPO in the Philippines has more to offer. Filipinos are talented, versatile, and professional people who can profitably work for your business. Filipinos can do multitasking without sacrificing the output’s quality while saving client’s time and money. 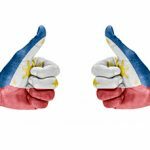 Why do investors favor BPO in the Philippines? Some of the reasons are: Filipinos are globally known as trustworthy, reliable, and hardworking people. 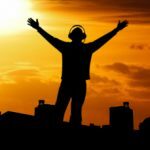 We can work under pressure, and are highly motivated to do their jobs, as long as long as you give them the benefits and incentives they deserve. 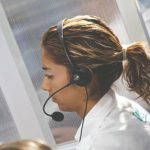 Over time and even night shifts are considered part of our work culture as well. In the olden times, the Philippines is known as the rice bowl capital of the world. Farming and agriculture are the primary means of living for most Filipinos. They work on the rice fields, ignorant about computers and other gadgets. That scenario was already written in the book of history and happened years ago. Now, with the revolutionized economy, Filipinos are easily adapting to the changes and sculpturing their name on the business monopoly, especially in BPO. With BPO in the Philippines in full swing, it only proves that they are extremely fast learners. The Philippine educational system is closely similar to that of the American academic regulations. This became possible because the Philippines was once under America way, way back. This administration has brought manipulative influence, which made it easy for Filipinos to get used to the American culture. The above-mentioned details that offshoring to the Philippines is certainly a top choice. Combined with a perfect location, talented people, and a great educational system, there’s no doubt that BPO in the Philippines will be known worldwide.